Holiday gift cards are incredibly popular for good reason. If you’re a lucky recipient and waffling on how to use it, I suggest fitness equipment. Why? To put it simply, these items can improve your life. Winter’s ennui is the perfect time to break out of training ruts, attain a new level of fitness, and reduce chronic pain. Sometimes buying a new piece of equipment can give a gentle nudge in the right direction. These suggestions will provide a variety of challenges depending on where you want to take your body. Disclaimer: I receive no incentive, financial or otherwise, to recommend the following products. In my 10+ years of experience I have found these items to deliver a great return on the investment. I am convinced this is the best $25 you’ll ever spend. These self-massage tools will help relieve knotty/dense tissue, restore blood flow, dissipate neural tension, and generally improve your day. Rolling over glutes, thighs, calves, the upper back/shoulders, and forearms for 15 minutes a day works wonders. 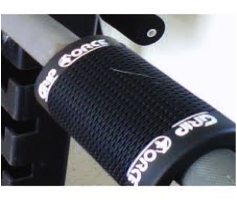 Using a lacrosse or tennis ball will get into those small knots and complement the roller or stick. As mentioned in a previous sprout article, self-massage is prelude to workouts encouraged by the world’s top fitness coaches. It’s also a darn good way to end the workout or relax from a hectic day at work. Spend the extra money on a good cell-free molded roller. The chintzy foam cell ones might last 3 months. Mine has lasted 8 years and remains perfectly round. 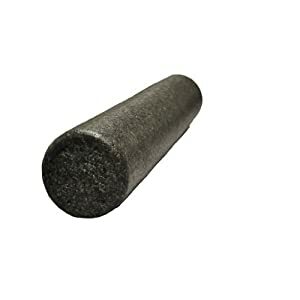 (Search for “molded foam roller” and you’ll be provided with quality options.) 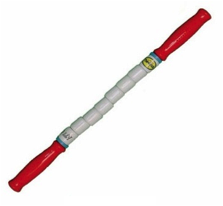 If considering between the two concepts, the roller penetrates deeper to large muscular tissues but the stick is easy to carry around and can really focus on trouble spots. I try not to funnel people to a particular company but this is patented, so it’s the only game in town. Fortunately for people who sit a lot, this game is really effective. There are too many painful and mobility-crippling effects of sitting to enumerate here. Suffice it to say that approximately 80% of U.S. adults experience significant low-back pain at some point and sitting is a part of the problem. 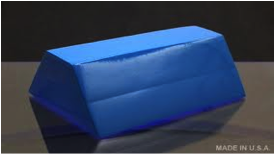 A few minutes a day with the wedge protocol and you’ll help neutralize the damage of sitting. The device has consistently relieved non-structural chronic back pain. Along with just lying on the thing to help restore lumbar spine function, you can safely do lots of ab work on it. Ok, time to get to some real training. Getting stronger is a huge component to overall health and vitality. Don’t believe me? Numerous studies show grip strength predicts future frailty, hospitalization, mortality, and even malnourishment. Ladies this applies to you, too. The best way to challenge your grip is with thick-handled implements. Unfortunately, they’re very expensive and few gyms have them. For under $50 you can turn any dumbbell, barbell, or plate into a thick bar training device. The extra diameter forces stricter technique, improves upper/lower body connection (“the core”), and lights up the deep shoulder stabilizers. 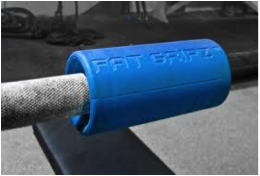 You can throw them in your backpack and have legitimate thick-bar training anywhere you go. A farmer’s walk and deadlift are great total-body strength builders that go perfectly with the grip trainers. A good book can push you in the right direction or at least mix up your fitness routine. Here are some of my favorites written by true experts in the field. You won’t find Jillian Michaels here. These authors have spent decades helping people with genuine hard-work methods that produce results. Advances in Functional Training, Michael Boyle. A comprehensive view plus specific programs from one of the world’s top coaches. This book has everything you need to start a great program or refine your current track. The Female Body Breakthrough, Rachel Cosgrove. Rachel Cosgrove offers terrific, no nonsense advice about what really works and why. The New Rules of Lifting for Abs, Alwyn Cosgrove. Rachel’s husband effortlessly melds current research and practical experience to get you to function better. Never Let Go, Dan John. The legendary storyteller (and religion teacher) offers incredible advice and workout ideas from 30+ years of experience. The most entertaining read on this list. Relax Into Stretch, Pavel Tsatsouline. The best practical book on flexibility. It incorporates breathing, correct technique, and a logical progression. The Naked Warrior, Pavel Tsatsouline. Learn how to create tension and progress to mastering the two most difficult body-weight exercises (1-arm push-up and 1-leg squat). Starting Strength, Mark Rippetoe. A tremendous resource for understanding how to get stronger the right way. Regardless of your current goals it’s easy to get stuck in a training rut. Fortunately, effort and a few wisely spent dollars can lift you out of an old pattern. A smart purchase will help you feel better, jumpstart a New Year’s Resolution, and/or provide a new set of challenges. Max Prokopy is a first-year Biochemical and Molecular Nutrition PhD student who has certifications to and experience with training prep, collegiate and professional athletes with a particular focus on ice hockey.